Shirahama is a well-developed Onsen "hot spring" resort on the south coast of Wakayama Prefecture. Several bath houses with hot spring baths are open to the public, most of which have only indoor facilities, but some of them pools right by the ocean. There are some Ashiyu "foot bath" in the area that can be used free of charge. Shirahama and Kushimoto are home to historic Onsen areas, as well as offering coral reefs said to be a diver's paradise. The craggy Sandanbeki Rock Cliffs are 50 meters high. It consists of three steep cliffs with a large network of caves at water level. An elevator is taken down to the caves, which has a shrine inside and a network of tunnels. There is also a guided tour into to the caverns inside the cliffs; a good tour for young children and dads trying to avoid shopping. 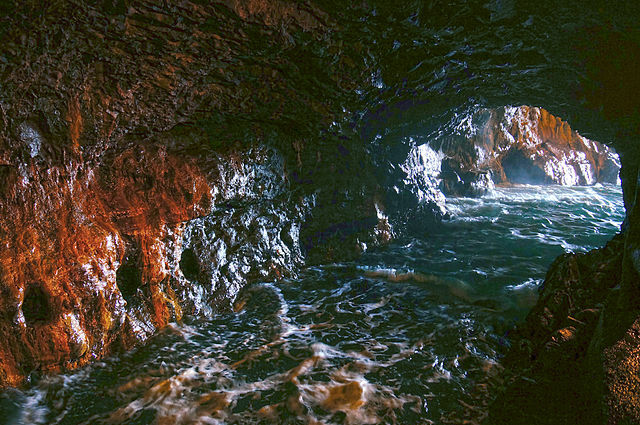 There is an admission fee for visiting the caves. Senjojiki, the tiered rock formations display the work of the Pacific Ocean over the years, with the strong waves eroding the rocks into their current shape. They look like a thousand tatami mats, an image after which the site has been named. The Senjojiki are located along the coast, and visitors can walk out onto them, but take care as the wind can pick up throughout the day. 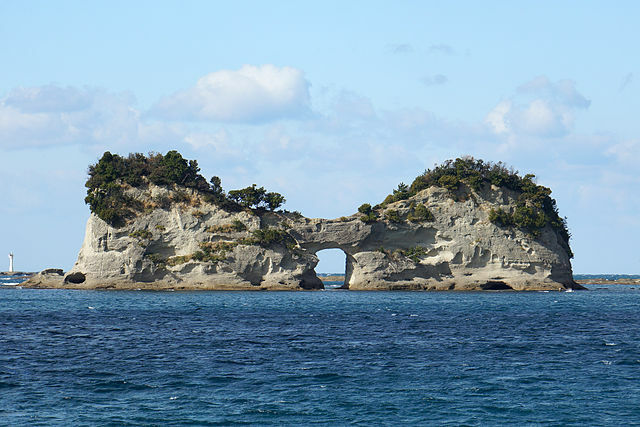 Renowned for its arch, Engetsuto Island is an iconic symbol of the Kii Peninsula and a perfect spot to watch the sunset. In the evenings of some days of the year, the setting sun can be seen through the hole in the middle of the rock. 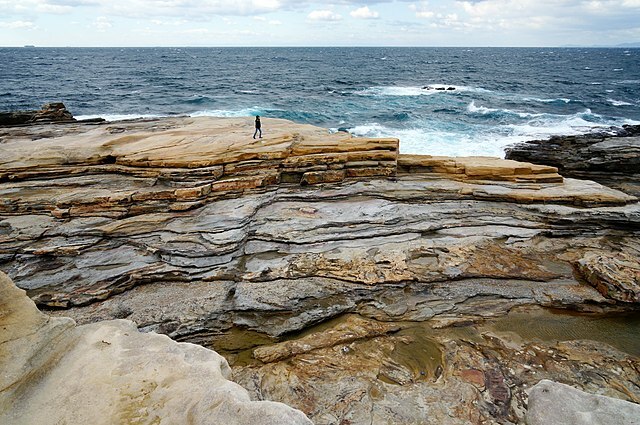 The resort's other major attraction is its crescent-shaped 640 meters long white-sand beach; Shirahama means "white beach". 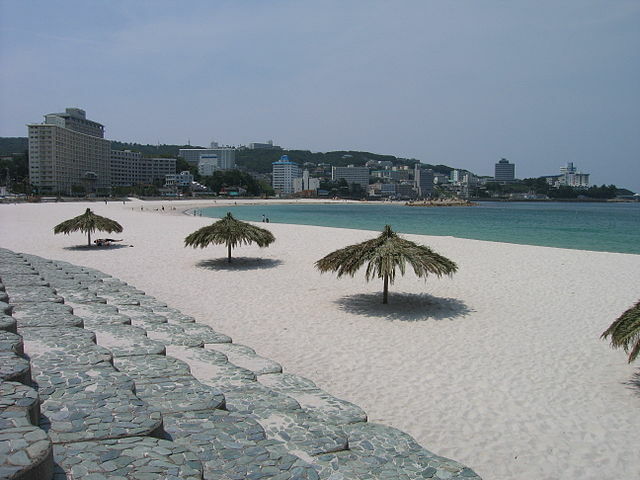 ​The main beach is lined with large hotels so that visitors will be just a few steps from the water. During the summer, there are fireworks every night on the beach. 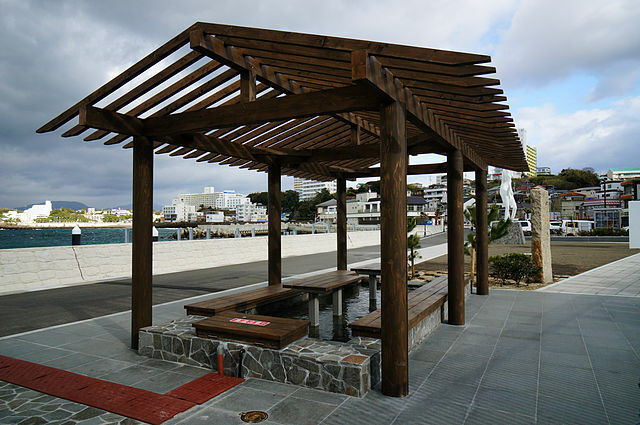 Besides the beach, Shirahama is known for having some of the best Onesen in all of Japan. 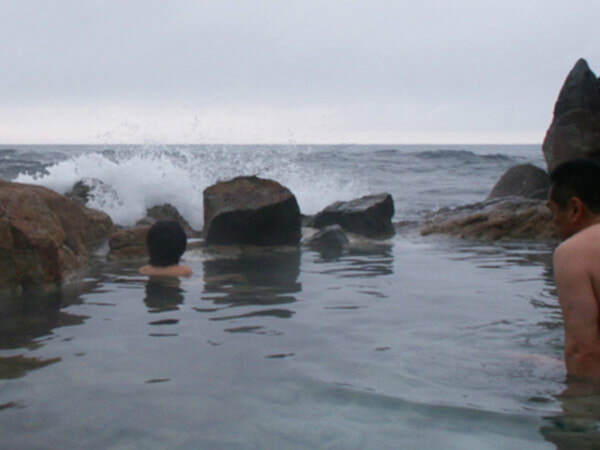 Its popularity as an entertainment destination and its proximity to Osaka caused Shirahama to become one of the three Japan's most popular Onsen resorts, along with Beppu on Kyushu and Atami on the Izu Peninsula. One of the outstanding spas here is Sakinoyu Onsen, with more than a thousand years of history. As it lies just at the waterfront bigger waves from ocean cool down the pool's hot water and splash the bathers which adds to the fun and pleasure. There are few museums in town that you can visit to learn more about the history of the area and its people. The amusement parks Energy Land and Adventure World can be enjoyed particularly for kids. 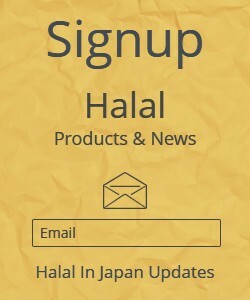 For more information visit Wakayama Travel Guide. From Kyoto & Osaka - The Kuroshio Limited Express is a service that connects Kyoto Station "takes about 3 hours and 30 minutes", with Shirahama Station via Shin-Osaka and Tennoji stations "takes about 2 hours and a half" in Osaka city. This service is fully covered by the Japan Rail Pass. Buses connect the Shirahama Station with Shirahama Bus Center next to the beach in central Shirahama "takes about 10 minutes". From Tokyo - 1 hour from Tokyo Haneda Airport to Nanki Shirahama Airport. 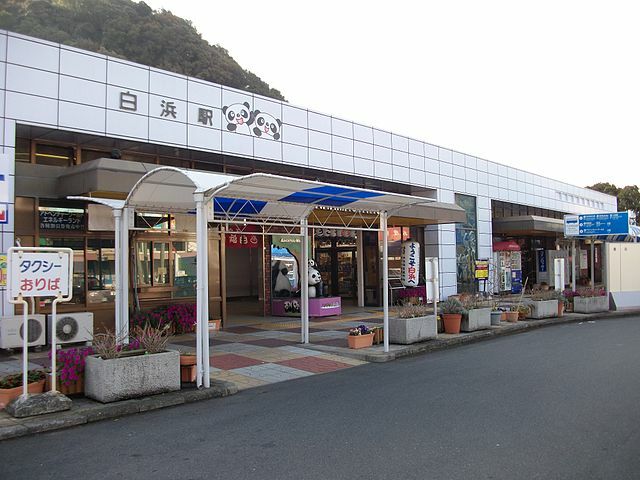 Buses can reach from Nanki Shirahama Airport to Shirahama Onsen in about 15 minutes.